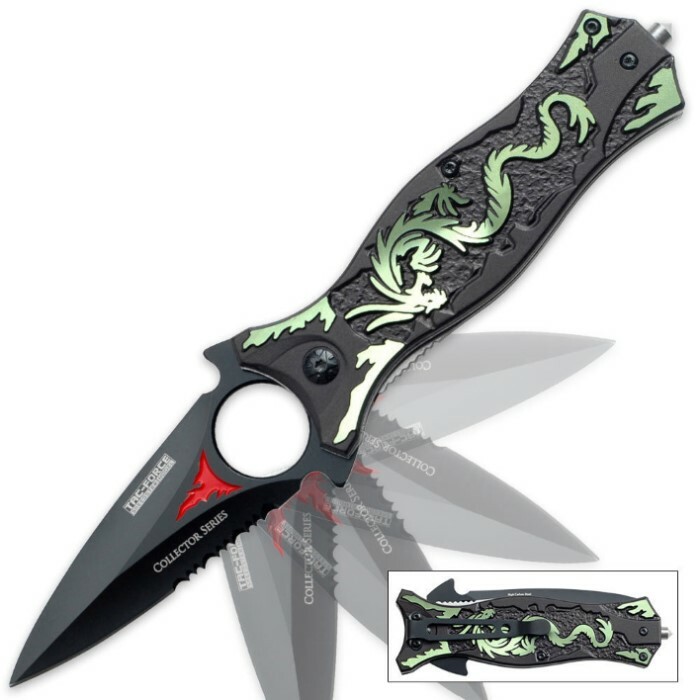 Steel handle w/ intricate raised Oriental dragon and texture. Sharpened 440 stainless steel blade with black finish and red flame. Single edged spike style blade with double edged design. The back (spine) of the blade has a faux edge.